Video Recipe - I have tried different methods of making yogurt. One of my favorite ways is to make it with whole milk, which I then drain. The style usually known as "Turkish" or "Greek". Heat the milk to above 85°C (185°F). It changes the structure of the milk proteins, and kills any unwanted bacteria. Allow to cool to 41°C (106°F). Stir the fresh yogurt into the milk. Let stand 6-12 hours at 38°C-45°C (100.5°F-113°F) . The longer it is and the closer temepraturen is 45 degrees, the more acidic is the yogurt. So it's a matter of taste. I don't like it too acidic so I usually leave it at 38°C (100.5°F). Stir well. This slows down the fermentation, and prevents it from becomming more acidic. You can run it through a sieve to remove any lumps. It is optional, but I do this. Pour it into a sieve covered with cheesecloth, a clean tea towel, coffee filter or the like. Let the whey drain for 12 hours. The longer it is allowed to drain the firmer the yogurt becomes. Stir it well. It gives a lovely creamy texture. 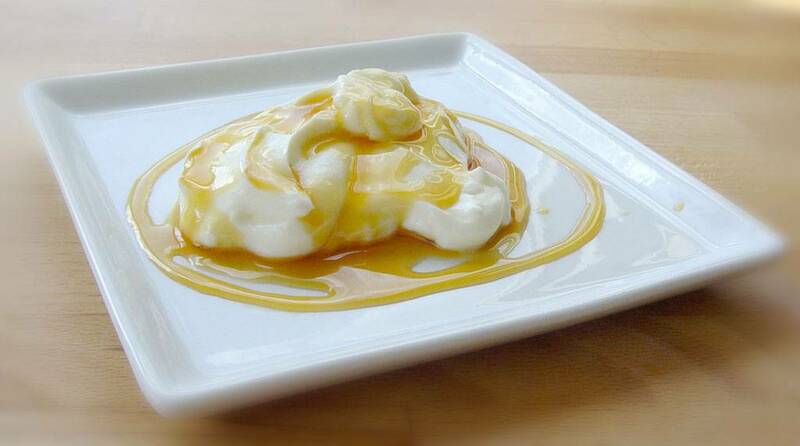 The most annoying thing about making your own yogurt is that you are going to need som fresh yogurt as a starter. You can then either buy a professional yogurt starter online, which can keep for a long time, or you can do as with a sourdough and take something from the last portion of yogurt you have made and use that as a starter. You should be aware that if you start up with a modern commercial youghurt, you can only start a new portion of yogurt for a few generation. It is so pure a culture that is used in modern dairy processing that it will weaken and die. I usually freeze a portion of my own yogurt into an icetray bag. Which can holde about ½ liter (2 cups). So I just break of 4-5 cubes and throw them into the mix when it dips to below 45°C (113°F). Do not freeze drained yogurt this way. It's easier to get in the ice tray bag before it is drained. I have a thermostat with temperature control that I have bought online in the US. It is attached to a cheap rice cooker that just holds 4 liters (4 quarts), and controls the temperature by less than 1 degree resolution. It is definitely recommended. I use it for a lot of things, but that is an article of its own. If you think $140 is a bit too steep, then there are other methods. A yogurt machine can be bought online and in some stores. This is an example from a Danish store. But it is tha same everywhere: http://www.hjemmeproduktion.dk/shop/yogurtapparat-inc-7-217p.html I also have one and it works fine. However, it has a tendency to be too hot on the bottom, so the yogurt will be slightly dissimilar from the top to the bottom of the glasses. Warm it up in a normal pan. Add the starter culture at 45°C (113°F) and then put the pot into your bed under all the covers. In the same way as do many rice pudding. Put it in a bowl or a flat pan on an electric blanket. If you do not have one lying around it can be bought for £20-$40. Put the pan into the oven with just the oven light on, or at the lowest setting. It is generally around 40°C (104°F). But it is a good idea to check the temperature of the oven, and it takes some practice. It easily becomes a few degrees to hot, and so it can become too acidic. A windowsill with lots of sunshine can also be used. But it requires some luck to get a good result. It does not taste exactly like yogurt, but in its own way it tastes just as well. If you use ½ dl (1/4 cup) buttermilk as starter, and then just leave the mixture to stand at room temperature for a day and a half, you get a thick buttermilk. This can also be drained and makes a good "Greek buttermilk yogurt"
I came to do it this way by accident, when I used the wrong starter culture. Everyone loved it and it does not have the same temperature control problems as the yogurt. So you could just start with that.